Known as the "cradle of civilization", Mesopotamia served as the site for some of the world's earliest settlements. It occupied the area between the Tigris and Euphrates rivers that now constitutes the greater part of Iraq. The Sumerian civilization, which began in the region in about 3500 BC, built a canal system and the world's first cities. Egyptian Art and Architecture - the buildings, paintings, sculpture, and allied arts of ancient Egypt, from prehistoric times to its conquest by the Romans in 30 BC. Egypt had the longest unified history of any civilization in the ancient Mediterranean, extending with few interruptions from about 3000 BC to the 4th century AD. The nature of the country, fertilized and united by the Nile, and its semi-isolation from outside cultural influences, produced an artistic style that changed little during this long period. Art in all its forms was devoted principally to the service of the pharaoh, who was considered a god on earth, to the state, and to religion. From early times a belief in a life after death dictated that the dead be buried with material goods to their ensure well-being for eternity. Sumerian Language - language of the peoples of the ancient kingdom of Sumer in Mesopotamia. Its vocabulary, grammar, and syntax do not appear to be related to those of any other known language. The oldest language preserved in writing, Sumerian was written in cuneiform script. Its earliest records date from about 3000 BC in southern Mesopotamia; after about 2000 BC it was no longer spoken, having been replaced by Akkadian or Assyro-Babylonian, but it continued in use as a literary language until cuneiform writing died out (c. 1st century BC). Assyro-Babylonian Literature, texts written in the Assyro-Babylonian language between the 3rd millennium BC and roughly the time of Jesus Christ. Most of this body of literature is in the Babylonian dialect of the southern part of Mesopotamia (modern Iraq). Existing literary texts in the Assyrian dialect of the north are copies or adaptations of Babylonian originals. 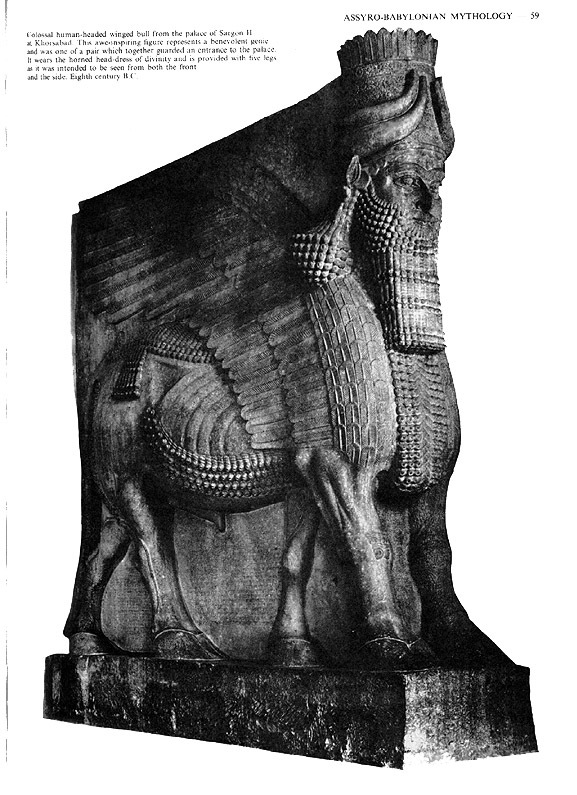 The preservation of Assyro-Babylonian literature is, in fact, due to Ashurbanipal, king of Assyria, who sent scholars to Babylonia to copy old Assyro-Babylonian cuneiform tablets; thousands of these transcriptions (many now in the British Museum in London) were collected in his library at Nineveh. Some describe the defeat of the Babylonians by the Assyrians. Assyria flourished in the region the ancient Greeks called Mesopotamia. The Assyrian king Shamsi-Adad I established what was probably the first centrally organized empire in the Middle East, between 1813 and 1780 BC. In defending their territory from neighbouring states and nomadic invasions, the Assyrians gained a reputation in the ancient Middle East for being relentless and ruthless warriors. The Phoenicians first settled on the Mediterranean coast (near modern Lebanon) about 2500 BC . Early in their history, they developed under the influence of the Sumerian and Akkadian cultures of nearby Babylon. About 1800 BC Egypt, which was then beginning to acquire an empire in the Middle East, invaded and took control of Phoenicia, holding it until about 1400 BC. The raids of the Hittites against Egypt gave the Phoenician cities an opportunity to revolt, and by 1100 BC they were independent of Egypt. Hittites, ancient people of Asia Minor and the Middle East, inhabiting what is now Anatolia, Turkey, and some areas of northern Syria. The Hittites invaded the region about 1900 BC and imposed their language, culture, and rule. They raided Babylon about 1595 BC. About 1450 BC the so-called New Hittite Kingdom was founded, becoming a great empire rivaling the power of Egypt, Babylonia, and Assyria. The Hittites maintained their empire by constant warfare. They struggled against Egypt for control of Syria. The Hittite Empire fell shortly after 1200 BC to invaders called the Sea Peoples in Egyptian records. In 1906 the royal archives of the Hittites were discovered in excavations at Boğazkale (formerly known as Boğazköy). Most texts found in the archives were written in the Hittite language, but treaties and state letters were written in Akkadian, the international language of the period. The Hittites used the cuneiform system of writing taken from the Babylonians, but they also employed a system of hieroglyphs. The Hittites may have been the first people to work iron. They worshiped numerous local deities. Scholars have traced Sumerian, Babylonian, Assyrian, Hurrian, Luwian, and other foreign influences in the Hittite pantheon. Mycenaean Greeks (1400-1200 BC) are known to have traveled to western Anatolia and to have traded with Hittite-held Syria.